Sometimes heritage is a curse. For Sigryn, daughter of Skovald, this was the case. She watched the madness as her father and uncles murdered her grandfather. Then they turned on each other, until only Skovald was left. She saw her father hunt down and murder her grandmother, his own mother, to seize the throne of the Tideskorn and declare himself God-Queen. 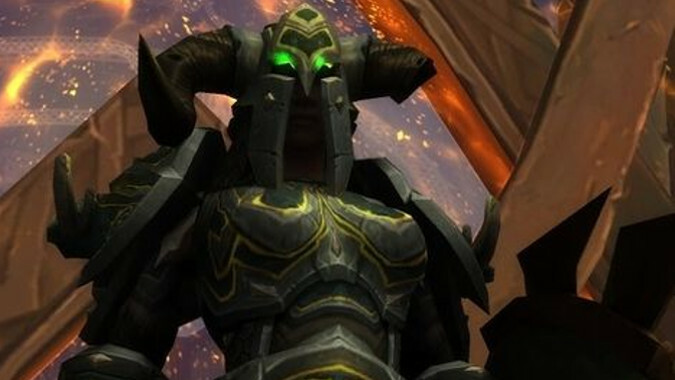 Watching as he descended into the madness of Fel addiction, she could do nothing, for she was alone. There was a grand architect to Sigryn’s misery. Someone had chosen to murder Sigryn’s family when she was young. Someone had sent assassins after them in their home in Stormheim. She barely survived while her mother and brother seemingly died before her eyes. Sigryn lived a life on the outskirts of her people, alone while they fell. Then the adventurer came. 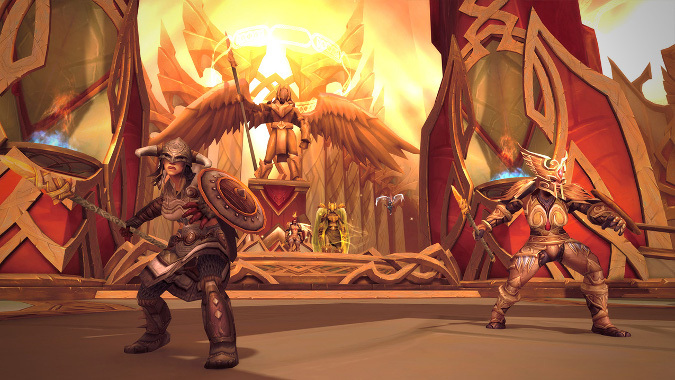 The Vrykul Scrolls of the Faldrottin discussed the terrible situation the Tideskorn found themselves in after Skovald’s seizure of the throne. Sigryn was eventually found by those that sought to make the prophecy a reality in order to break the Tideskorn from the Legion’s ranks. She was in Jandvik, the Vrykul town of exiles and expatriates in Suramar. She was living the life of a wandering warrior, a shieldmaiden. 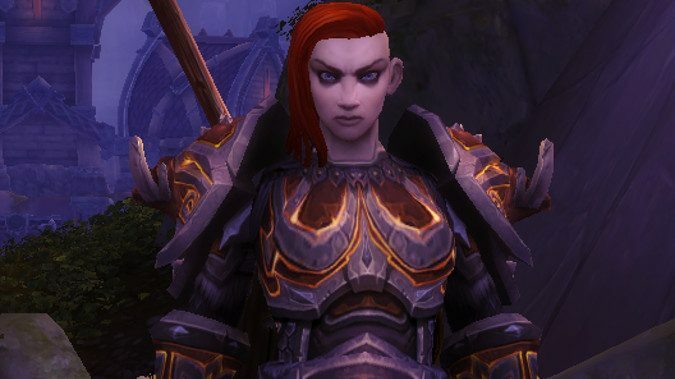 While she had refused the madness of fel addiction, she was still a powerful swordswoman. Sigryn had no desire to rule. But she didn’t want to leave her people in the scattered, broken state her father had left them in. Eventually she agreed to travel to Valdisdall, and pursue the destiny mentioned in the scrolls. From Valdisdall they went to Skold-Ashil overland, although yet again assassins dogged her steps. It seemed the daughter of Skovald was known to many, and they would not rest while she lived. Still, between her own skill and the powerful company she was keeping she survived the trip. Upon arrival at Skold-Ashil Sigryn was recognized and taken to Eyir, who revealed to the girl the truth. Her mother was a Valkyra Shieldmaiden, one of Eyir’s chosen. It had been prophesied by Eyir herself that Sigryn would be the result of their union. She was destined to save the Tideskorn and all of Stormheim from the Legion at this darkest moment. Without Sigryn, the Tideskorn would fracture apart and Stormheim would be lost. Despite her misgivings, Sigryn couldn’t allow that to happen. She agreed to play the role Eyir saw for her and unite her people, overthrowing all rivals to the throne of the Tideskorn. The first of her rivals was Runeseer Faljar of the Bonespeakers, her father’s close ally and a powerful mystic with a great deal of support. He had to bend the knee if Sigryn was to lead the Tideskorn. After combat with her and her allies, he did so. But Faljar told Sigryn a disturbing secret — in her heart he sensed the same madness that had consumed her father. He didn’t understand how she’d managed to avoid its grasp. Troubled by this, she remained committed to the path laid out before her by Eyir. After the death of Thane Irglov the Merciless, the Drekrjar of Hyrdshal were ruled by Jarl Velbrand. His opposition would mean that Sigryn could not ascend. A challenge of arms left Velbrand humbled, but while he agreed to refrain from opposing her, he knew of a new complication. Sigryn was not the only child of Skovald claiming the throne of the Tideskorn. Sigryn was stunned by this news. She’d seen Torvald, her brother, swallowed up by the ranks of the assassins the night she’d fled. Journeying with the assistance of her allies, she made her way to Vrekt and found Torvald. But Torvald did not seem pleased to see his sister alive. He sneered at her and answered her questions about his survival with mocking answers. The night the assassins had come for them, he managed to survive by tapping into the power of the Fel, the gift his father Skovald had given his children. Both of his children. 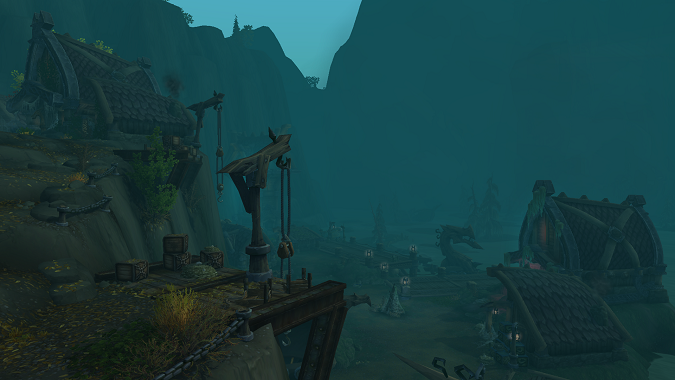 Sigryn denied this, but Torvald said that her resistance to the Fel had sickened her and she’d simply forgotten it. All she would have to do, he mocked, was call upon its power and he’d be like her. To demonstrate, he ignited his blade with Felfire. Heartsick but unwilling to ever be a tool for the Legion, Sigryn fought and struck down her corrupted brother. But not before he asked her to ponder who, exactly, had sent the assassins to murder their family that night. Sigryn tried to ignore this question but it haunted her. And so, when she returned to Eyir, success at hand, she demanded to know the truth. Who was it that had killed her mother? Who had tried to assassinate Skovald and his entire clan that night? Eyir attempted to dissuade Sigryn, but in the end the truth was revealed. Odyn himself sent the assassins that failed to kill Skovald or Torvald. The ones who murdered her mother, though she’d vehemently refused the Fel corruption and argued against its use with her husband. Her mother, the loyal shieldmaiden of Eyir, died by Odyn’s hands. Shocked and horrified, Sigryn’s rage erupted from her. The rage revealed that yes, Skovald’s attempt to poison his children with Fel had been successful. 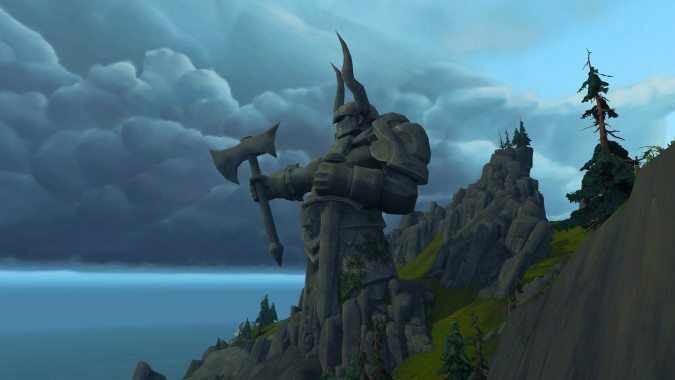 Thanks to the revelation of Odyn’s action Sigryn now believed the Titan Watcher to be no more honorable than the Legion. She declared that she would unite the Tideskorn… unite them to storm the Halls of Valor and show Odyn that he had been right to fear her. But Eyir did not give up on Sigryn. She turned to the mortal hero that had been Sigryn’s ally and stated that Sigryn was indeed more powerful than her father had ever been. Yet she was no match for Odyn, who would kill her were she to reach him. The hope for the Tideskorn rested wholly in Sigryn’s hands. She could neither be allowed to succumb to the Fel, nor could she die at Odyn’s hands. Eyir dispatched the hero to intercept Sigryn and make her see reason. The confrontation took place in the Great Mead Hall of the Halls of Valor, where Sigryn and her allies Velbrand and Faljar were attempting to force entry. Sigryn offered to allow the hero to depart alive out of respect and in light of the friendship they’d shared along the way. But there was no other path for either of them and they joined battle. 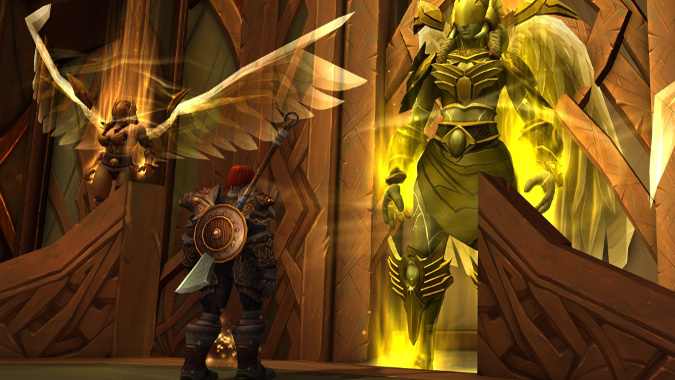 Eventually, the hero managed to finally show Sigryn the error of her ways and she ultimately renounced the Fel. Shocked at what she’d done, she returned to the Vault of Eyir to repent, beg forgiveness, and receive whatever punishment Eyir felt just. Eyir’s punishment was justice itself. As Sigryn had lost so much, and managed to fight her way free of the Fel’s influence, she was now a microcosm of the Tideskorn as a whole. She was the one who could show them as a people how to refuse the Legion. And so, she became Eyir’s choice to lead the Tideskorn. 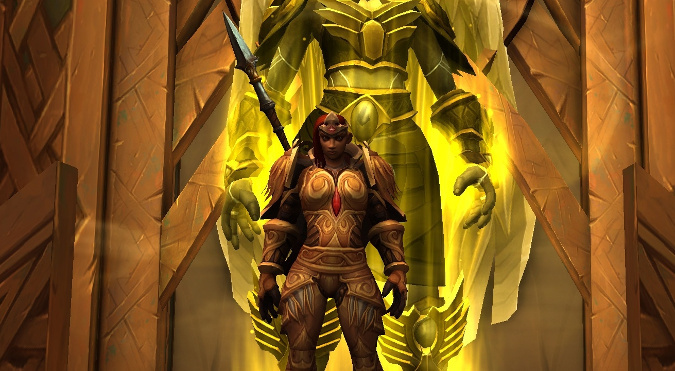 Despite her misgivings, Sigryn ultimately agreed and ascended as God-Queen of the Tideskorn, vowing to lead them in battle against the Legion. So ends the tale of Sigryn, daughter of Skovald. Heritage can be a curse, but curses can be overcome, and the Tideskorn who once groveled at the Legion’s feet now seek their blood. But what fate for Sigryn and her people in the future? That is unknown to us.